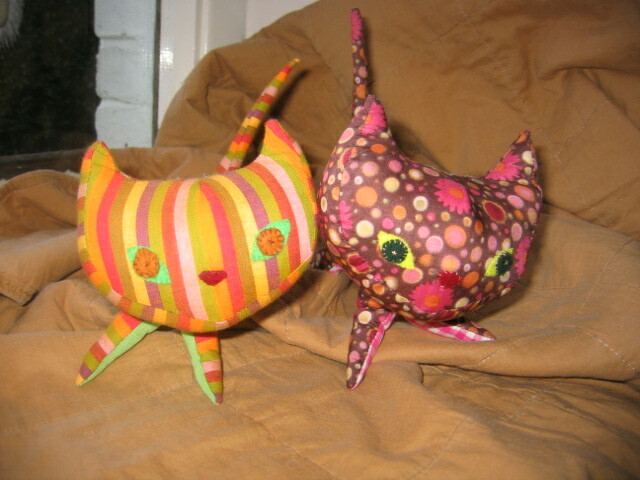 Here are two of the three kitties I made using Hillarys free pattern over at Wee wonderfuls. My Dad returned my camera to me today, and these were some of the pictures I had been waiting to upload from it. 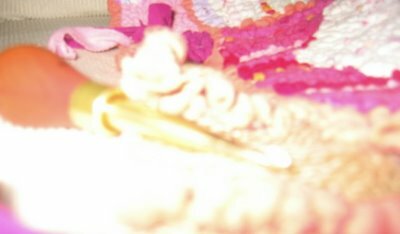 Wee wonderfuls was the first blog I ever read, and is still one I follow closely and enjoy visiting. It sounds corny but I do find it inspirational. I am looking forward to the pattern book and more of these lovely patterns. I kept my kitties simple and didn't add the felt trim, partly because I knew my baby would try to eat it. I also replaced the button eyes with fabric for the same reason. You can see more of my pics over at flickr, I have just added a Flickr thingy (those things must have a name?!) underneath my links on the right of this page. This is the knitted bird I mentioned in my previous post. I originally knitted a much smaller one using wool, following a pattern from a friends knitting magazine, but I had been wanting to try knitting with fabric for a while, and it seemed like the ideal pattern. I cut strips of fabric, sewed the ends together and rolled it into balls, then I knitted it using chunkier needles, and this was the result. 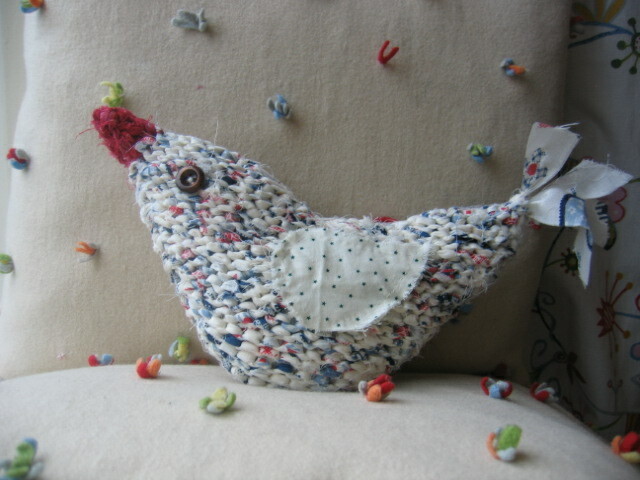 I am really pleased with the effect and hope to do more of this in the future as it was fun and knitted up quick too. Talking of cutting strips of fabric, here is a peek at a UFO I began about 4 years ago, and have set myself the challenge of finishing now before I begin anything new. It is so nearly finished and really could be done in a few evenings if I really try. I do find it hard at the moment to sit and do things that require both hands, my baby daughter who is 8 months old is such a Mummys girl and likes to be in my arms continually. I am totally into attachment parenting, but sometimes a break from physical contact is nice, even for half an hour! I have just spent a little while on it, so hopefully I can get it done this week. I have so many new things I want to start. just discovered your blog - though looking at the stats on mine. Just wanted to say that the little bird is gorgeous. Really original!